Home » Skiing vs Snowboarding – Which Is Easier to Learn? Have you decided to head to the likes or Morzine, St Anton, Val Thorens or elsewhere, but can’t make your mind up whether you are a skier or a snowboarder? It is a classic debate and the response is usually predictable, ask a skier they’ll tell you it’s the best, ask a boarder and you can imagine what they will say. 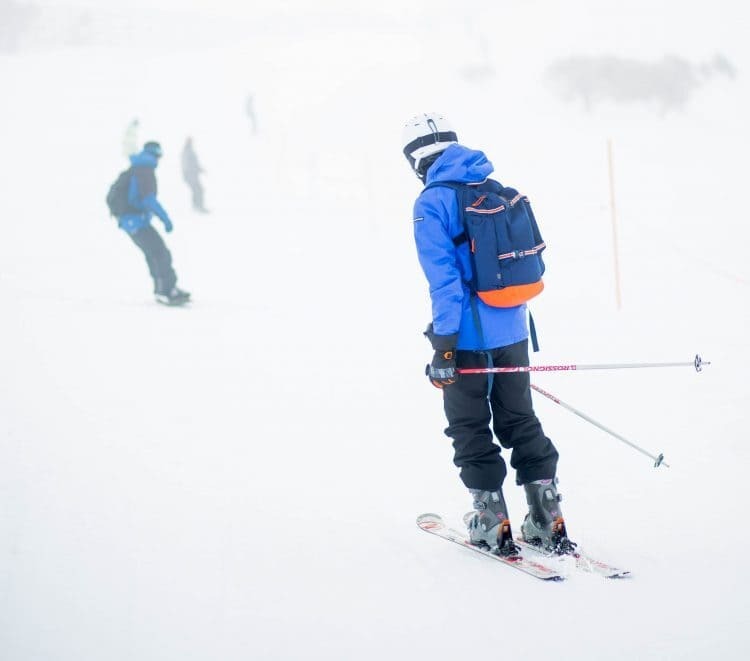 A common opinion is that skiing is arguably easier to pick up but more difficult to master, snowboarding might not be as easy to learn but considered easier to master. Walking in ski boots isn’t the easiest and it’s rather inelegant. Particularly when they have a layer of ice on the bottom! If you’re looking for more information on the pros and cons, take a look at this article. During the first-week skiing is a lot of fun, many people take to it quickly. The first few days you’ll take your first turns on the beginner slopes and by the end of the week, you may even progress to a blue piste. When you are skiing your legs remain separated at low speeds and you can regain balance by moving one leg out if you begin to fall. It is a straightforward, straight-on stance so as a beginner you have total peripheral vision and can see exactly where you are going. The first week of snowboarding is a bit different. During the first couple of days, you will fall a lot, for most people, it takes a couple of days before they quickly start to progress at snowboarding. It can feel awkward at first, your feet are attached to a board which is restrictive. Unfortunately, when you start to fall there is very little you can do to prevent it. The stance is side on which means less peripheral vision, travelling down slopes with only around 50% vision can take some getting used to. We recommend you get some padding for your first week of snowboarding. Protective shorts with pads across the back and sides as well as kneepads will cushion any falls you take. The real test of skiing happens after the first couple of days, to build on the basic skill level takes longer than it does for snowboarders. Although having separate skis on each leg is initially a benefit it becomes problematic when having to move both legs at the same time and in symmetry. Progression when learning to ski is likely to take longer than when you are learning to snowboard. Snowplough (pizza) is a beginner technique where the skier learns downhill skiing braking and turning. The front ski tips are together with the tails spread apart. A skier will be lucky to progress past this within the first week. On the other hand, although it is more technically difficult, when a skier starts to go on the blue and red runs they will find it challenging which can be very rewarding in the end. When skiing it takes time to perfect the technical sport and requires continuous improvement to master the turns, whereas snowboarding is much easier to master. Off-piste is literally what it says in the name, where you are skiing away from marked pistes, whereas on piste is when you ski/snowboard on the main ski pistes which are flat and firm. Note: When skiing or snowboarding off pistes can be highly dangerous therefore you should only go with a qualified mountain guide! A key part of being a good skier and snowboarder is being fit. Skiing can be more demanding on the legs/thighs to start with, however, snowboarding involves a lot of core strength especially when it comes to turning and balancing as the upper body is needed more. Developing your overall fitness is beneficial to be good at the sports but there are also some other exercises you can do to get in shape. Before you begin skiing it is recommended for you to develop the strength in your legs by taking up cycling or any other general leg strengthening exercises. Cycling is a lower impact sport in comparison to running so will put less pressure on knees and joints. 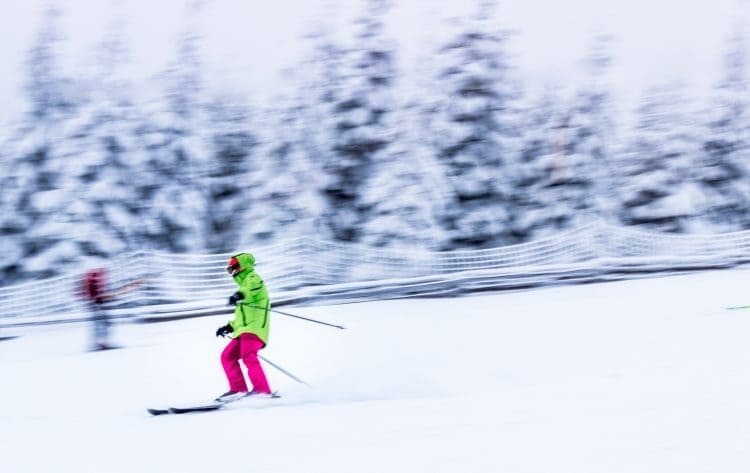 Even though you will feel stiff and suffer from aching legs when you start skiing overall it is a good choice if you are worried about fitness. Progress your core strength by doing Pilates or simple crunches, focus on your abdominal muscles and lower back will develop your balance and prevent injury. Out of season why not try paddle boarding which offers a great core workout. Keep in mind that it is typical to fall quite hard when snowboarding, so being in good physical shape is beneficial when learning. Complete beginners will find it tough but make sure you keep trying, once you are up and going the fitness level required is similar. If you’re looking for comfort, then snowboarding is the winner!!! Anyone who has tried Ski boots will know they aren’t the most comfortable footwear especially when walking around the town in them. On the other hand, snowboard boots are softer making them easier to walk in. Another bonus to snowboarding is you only need to carry the board with you. Has this helped you decide whether you want to give skiing or snowboarding a go? If so, don’t forget you can book your ski/snowboarding lessons online! At a beginner level, skiing is easier to learn as you have two planks, rather than one and an easier position to balance. At a higher level, skiing is harder to finesse for the average client, compared to snowboarding. If people have skateboarded or wake surfed etc in the past, they may take more easily to snowboarding compared to others purely because of the similar muscle memories. Most people find skiing easier to pick up to start with because you can still move both legs and feet independently. 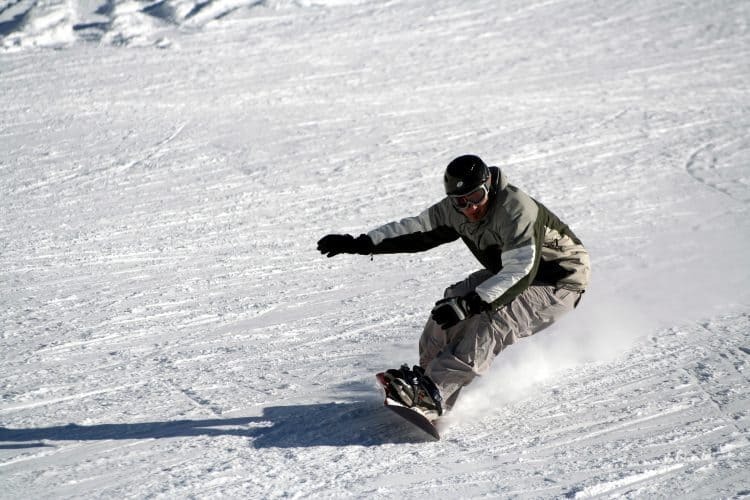 Once you have mastered how to stay balanced on a board the learning curve for snowboarding speeds up. If you can roller skate, roller blade or ice skate then skiing might be easier for you, and equally, if you can skateboard, wakeboard or surf then you might pick up snowboarding faster. Whichever you choose, both skiing and snowboarding are brilliant fun to learn and it just keeps getting better as you improve.